$7.50 on average for a comic. In New Zealand I thought that was just a reflection of our dollar. In the booming nation of Australia, I think it's just plain sadistic. Now having spent the last few months covering a large extent of the DC 52, it's time to trim that 'Satellite JLA' pull-list back into something a little more 'Dynamic Duo'. If there is one character Grant Morrison can write blindfolded, it's Superman. The fact that it is a revamped and flightless Kal-el, just enhances Action Comics' connection to the seminal Max Fleischer Superman cartoons of old (all of which I'm so addicted to, I carry them around on my phone). While Rags isn't the first artist I'd pick to partner Grant, here he does an awesome job of ensuring the 'down home' charm of 'modern' Clark still shines through. As Morrison tests Clark with pulp-hero style tortures and comparisons of strength, Rags keeps pace and out does himself at each and every turn. If not for Dan Jurgens art, I would've stopped at issue one. Luckily I didn't, as while it still misses target, G.A. 's a lot closer to the mark now. While JT Krul has already had two replacements as writer named for him, here he sends Ollie out after the super-powered druggie teens sticking their pranks on YouTube. It has less Q-Core involvement, Ollie feels more like a man of the people again, and did I mention Dan Jurgens (inked by George Perez!) on art? Like Aquaman, I've always brought Green Arrow while it's in print. Written right, his perspective is the best in the biz. With writer Ann Nocenti on the horizon, you definitely want to be here for that. The Authority, is the only book I ever collected where the store owner told me mine was the only order for the first issue he was placing, then under a year later it topped the pops. 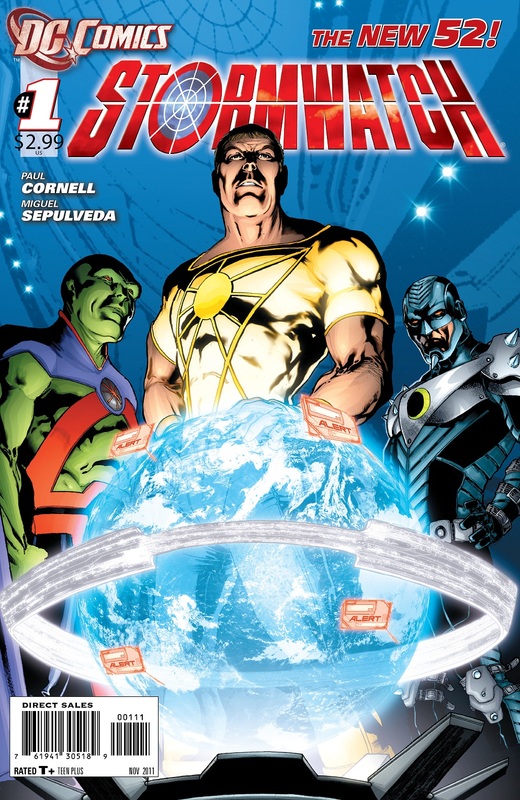 Here, with a bit more subdued (yet still massive in scale) adventures, the former Stormwatch, turned Authority, turned Stormwatch again is still one electrifying read. 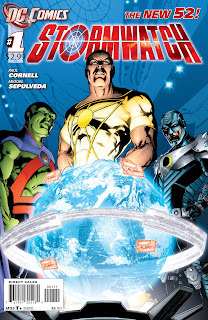 Boosted by the best 'super-man' on the planet - Martian Manhunter, and the best 'Batman' in comics Midnighter, Stormwatch faces an alien herald reshaping the moon, a leadership struggle and the attempts to recruit Apollo and his super-stalker, Midnighter, all while covertly keeping the JLA from interfering. Written by Paul Cornell, who brings a real Hitchhiker's Guide to the Galaxy mind for concepts, humour and drama to the book, Stormwatch is pushed just that much higher, vividly brought to life by the art of Miguel Sepulveda. Beware missing it. 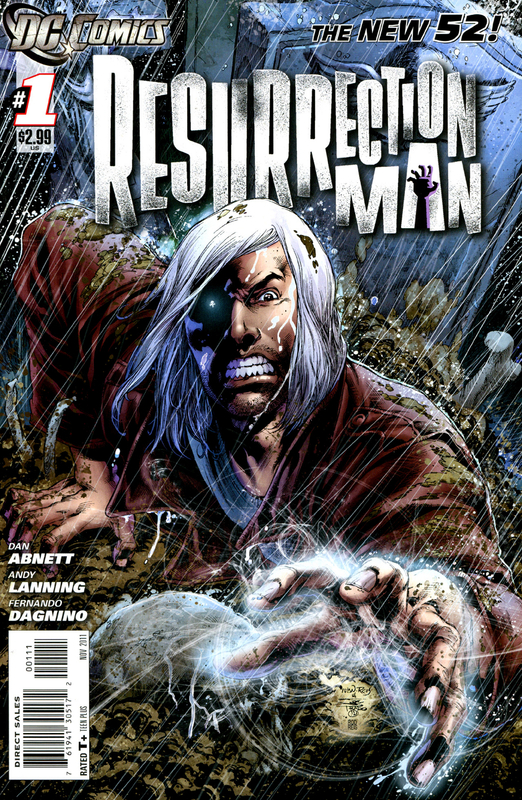 Judging from sales of it's first series, Resurrection Man is probably the greatest read you never had. But as Mitch Shelley rises once again and again from the dead, with the forces of Heaven and Hell on his tail, I can saftely tell you, if more comics started with a fight atop an in-flight jumbo jet, the world would be a happier place. I mean how many books have the main character die twice in the first issue alone? 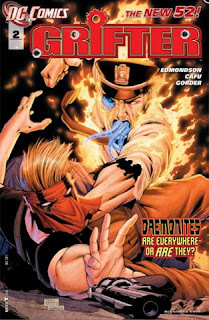 Written by Dan Abnett and Andy Lanning, (whose Force Works work lead me to grab the original), and backed by the 99% less fat cover art of Ivan Reis and the atmospheric interiors of Fernando Dagnino, this is one book worth coming back from the dead for. Here Paul Levitz proves if an atomic bomb went off, one thing you could count on is he'd still deliver another great read of the L.O.S.H. the following Wednesday. Having written the book pre DC 52, Paul keeps on going, like little has changed in the company around him. Upping the stakes, bringing in the academy kids and handling the massive cast (and it's absences) like the pure-bred pro that he is. 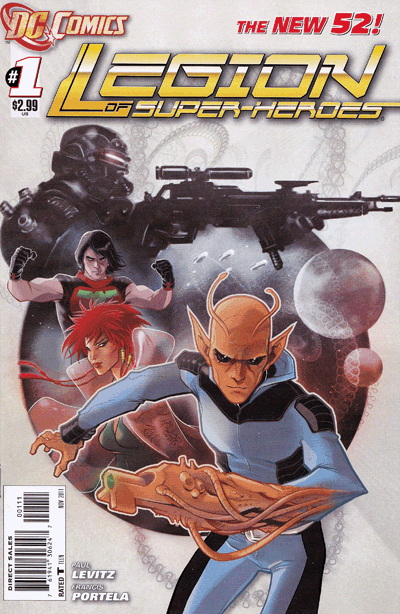 Francis Portela is a natural fit on art and his pencils more than keep pace, but can we please, please get a few more Karl Kerschl covers (was he the original pick for series artist?) that cover to issue one is crazy! 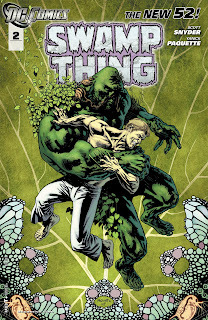 The 80's were awesome to DC, and Swamp Thing was one of the chief factors in that equation. 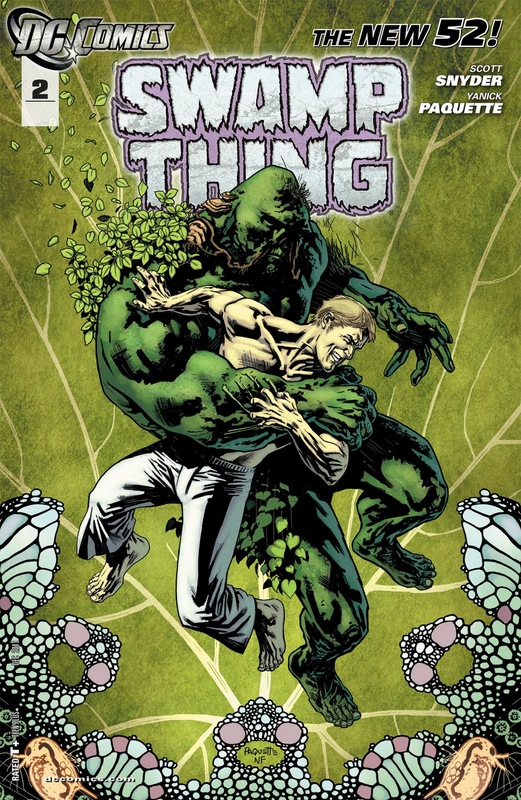 Now Batman super-scribe Scott Snyder, takes Alec Holland for a spin in a non-Vertigo title that not only keeps that 'mature themed' groove, it proves Gotham ain't got nothing on the bayou. As flies and ancient deitys force hordes of people facing backwards to walk forward, zombies have never looked more attractive. Artist Yanick Paquette's work is only topped by what Francis Manapul is doing over on The Flash. Dark and thought-provoking as all good Swamp stories should be, as soon as Swampy gets his battle groove on this is really going to be a run that thankfully looks set to dig its roots in. This one has me in two minds. Despite rebooting Ronnie Raymond after a year of dusting comics favourite Jock off, the pre-super-heroics pages of the first issue were some of the best of the whole 52 (thanks writers Gail Simone and Ethan Van Sciver). I even stomached the fact Jason has been Firestorm before Ronnie. Then comes the idea both Ronnie and Jason can individually be a Nuclear Man without fusing, and for me the concept starts to come off the rails. Why would two Firestorms combine to form the Hulk sized 'Fury', when individually they can already restructure the universe? It's an equation even Professor Stein would struggle to answer, and I'm going to extend my pull list by one, for just a few more issues, to find out if it's worth holding on to. About time. Grifter, the sharpshooter with actual 'tude, finally lands another series. The only trouble here is it's a little to Pride and Prejudice in pace and not enough Casino Royale. When you're talking about a man who runs afoul of authorities, seeing, hearing and killing aliens among us we don't notice, it isn't due to script - rather page layouts. Cafu comes alive as artist when Cole dons the mask, but rigid, grid-locked panels slow the action, especially when the camera doesn't change it's angle that often either. Hopefully as his confidence builds with the character, he'll get into taking a few more risks, because this is one concept Hollywood bound! And there we have it folks! The DC 52 all trimmed! I love Paul Levitz. LOVE him. Legion is one of those books that can die so horribly and easily because of its massive cast of characters, but unlike X-Men, you can't really cut the chaff away. The Legion is supposed to be big, that is its defining purpose. 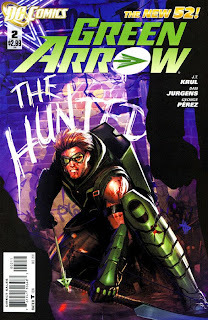 And Levitz has shown that he does it so well...I have panic attacks when I think of the day they'll change writers. I like the look of Ollie's new uniform. I also like the fact that they lost the 40's style Robin Hood 'stache too. Brought him into the present day with the younger look. Hey guys thanks for the awesome comments! Com-plete-ly agree Random, Paul is literally in a world and time of his own on the Legion. Where Chris Claremont proved he can never go home again to the X-Men, Paul proved there's always space for a man with talent in the 31st century. And yup I agree with you too Craig - we are all pretty in tune huh? I like Ollie's new threads, and while the classic is a classic, they've done a good job setting a look just as capable now. I defenitively do prefer Ollie's new look, but i droped this omne one first issue... hum... is it really getting better? Now I gave the ressurection man a chance and read two issues. It is not making me happy. Maybe you could explain what ist that makes you like it? Wait till Ann Nocenti takes over G.A Aliera - it won't just be better, it will be brilliant! 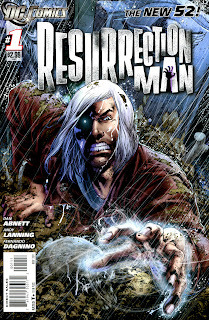 As for Resurrection Man, I guess it's because I read the previous series, I have an idea of where the crew is headed. (Hopefully). It was like 'Dial H For Hero, with lotsa life and death circumstances added in. More often death of course won out to live up to the title. I agree the second issue didn't set the world a flame, but I'm still hoping it can create just a good read as the one it's predecessor did. Nice rundown! I don't collect many of these books, but I appreciate your opinions. 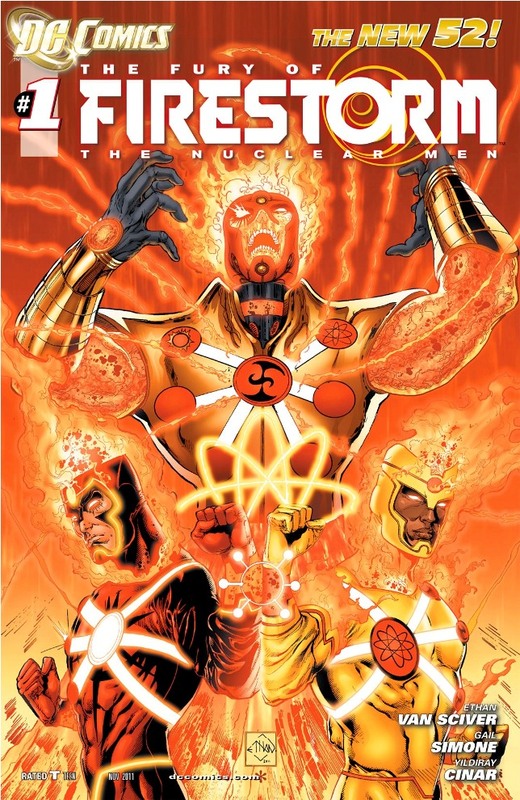 I thought Firestorm #2 was much more solid than issue #1. So I'm hopeful the trend will continue into later issues. 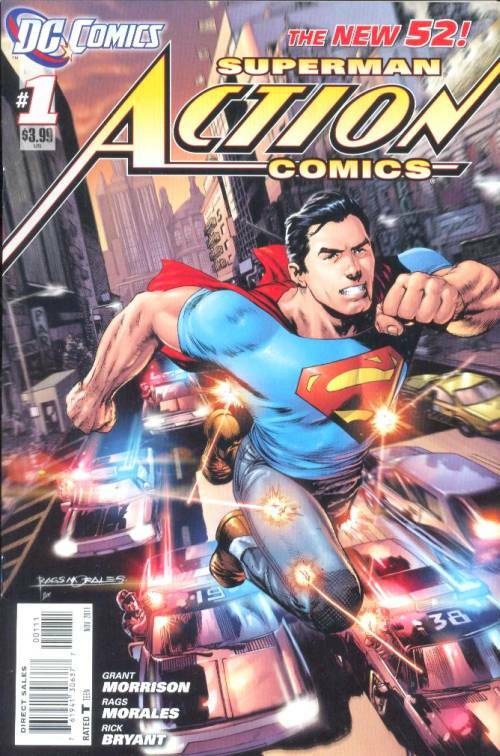 And Action Comics is AWESOME! Thanks for the comments Shag! 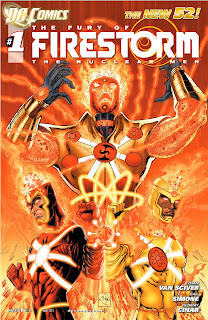 Yip I agree, Firestorm #2 was a step above again - hopefully one that will continue! 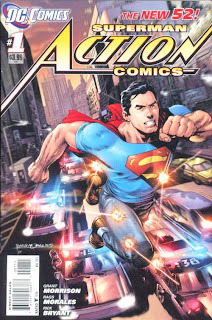 As for Action Comics, that's just going to be another All-Star level run, I'm betting my money on it now!